Farpoint is CANCELLED because we’re being tested by “All Good Things…”! New York Times and USA Today bestselling author David R. George III is back on the show this week for a look at the finale of Star Trek: The Next Generation, a tour de force, feature-length episode that celebrates the genius and success of the series it concludes. Captain Picard is mysteriously travelling through the past, present, and future, taking him from the Enterprise-D’s very first mission to the seeming last days of his life. But when Q appears to deliver the Continuum’s final, damning verdict for humanity, the Enterprises of three eras must cooperate to save the galaxy and the future of humanity among the stars! Any show that experienced the kind of extended creative and critical success that Next Generation did could be forgiven for limping across the finish line or seeing its inspiration run dry. 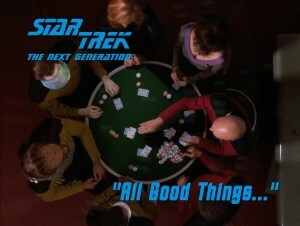 However, the Hugo Award-winning “All Good Things…” stands as one of the series’s finest entries, putting the capstone on a show that had not only brought Trek back to life, but one that had also set the standard for sci-fi shows to come. During our discussion, we talk about the evolution of the series over its seven seasons, the perfect distillation of a TNG episode, keeping time travel fresh, the real-life power of John de Lancie, the true nature of the Q Continuum, and the pressures of filming a double-sized episode while you’re making a movie. We also talk about the source of Q’s name, never working with omnipotent children or computers, dropping the show’s name in the episode, the way that rules enable jeopardy, Q as evil Doctor Who, only Americans passing God’s tests, whether Q is an angel or a devil, the Yar that could have been, Dave praises the good parts of “Turnabout Intruder,” and Aaron’s still hung up on them god-like aliens! No crying at the poker table! Craft Disservices present a film whose merits were evident on its release, but the movie industry had to catch up before it was heralded as a classic. Just in time for Halloween, it’s 1979’s Alien! New York Times and USA Today bestselling author and film critic David R. George III visits the show to talk about a film that’s more than a monster movie and more than a “haunted house in space.” When the menial crew of the mining ship Nostromo stop to investigate a strange signal on company orders, they discover a life-form that lacks eyes, weaknesses, or mercy. Now they must scour their ship for their deadly passenger, as it hunts them in return with the patience of the grave. It’s nearly unthinkable now, but critics really were divided upon Alien’s release, and on the program, they discuss the cultural environment the film was released into, as well as address some critical specific responses. They also talk about the film’s genesis from the death of Jodorowsky’s Dune, the path it took from script to screen, the triumph of its casting, the verisimilitude of its fantastic setting, the impossible evolution of the creature, and the monumental talent of the man who designed it. Plus, they talk about the sensibility and necessity of a Veronica Cartwright, the vision and execution of Ridley Scott in creating atmosphere, talk about “that” scene, debate whether Ripley is a “Final Girl,” ask whether Dallas is amazingly brave or amazingly foolish, and wonder if God is evil in this universe. DRG III shares his taste in baseball films, and they go HAM on a hypothetical Movie Vault podcast! The eight passenger is DEATH! New York Times bestselling author David R. George III returns to the show to talk about one of Deep Space Nine’s (and Trek’s) finest and most brutal episodes. Kira thinks she’s captured a monster, but she learns that war and cruelty make victims of everyone. Our discussion touches upon the genius of Harris Yulin, the reality of history being edited by the victors, the importance of victim accounts, the practice of sin-eating, and the banality of evil. We also shift gears and talk about less somber topics, like Prussian valves and “proficient service,” the drawbacks of acting like a jerk to your neighbors, the “Cardassian Monologue,” Death and the Maiden, and Stabby Otis from Mayberry! Okay...slightly less somber. Plus, Kal contemplates a career as a Trek fact researcher, David talks about some of his favorite films, the Benjamin Buttoning properties of volcanic vapors are discussed, there’s a shout-out to Robert Shaw, and an update on a possible sighting of The Most Interesting Man in the World! We’re pulling for you, Clint Howard! One day at a time! In this episode of Literary Treks, hosts Bruce Gibson and Dan Gunther welcome author David R. George III back to the show to discuss The 34th Rule, a novel he co-wrote with Deep Space Nine’s Armin Shimerman, whom you may know as Quark! 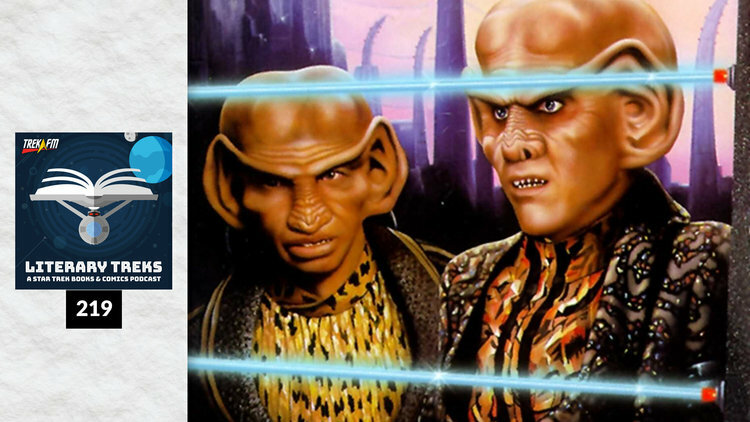 We talk about the genesis of the story, the Ferengi belief system, politics, racism towards the Ferengi, the cycle of violence, and wrap up with our final thoughts and ratings and where you can find David R. George III online. In this episode of Literary Treks, hosts Dan Gunther and Bruce Gibson are joined by author David R. George III to talk about his latest Deep Space Nine book, Original Sin. We discuss the two stories told in tandem, the character of Jasmine Tey, crime drama as Star Trek story, the nature of Rebecca Sisko, a completely alien encounter, the possibility of a Gamma series going forward, and where to follow David R. George III online. 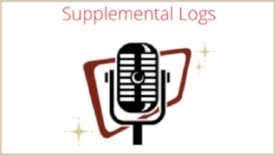 We don’t always talk about “The Corbomite Maneuver,” but when we do, it’s on this episode! New York Times and USA Today bestselling author David R. George III joins the show to talk about the first non-pilot episode of Star Trek, and along the way, we discuss how Trek became Trek, the inclusiveness of Trek’s future, what it takes to command a starship, and the search for the unknown! Plus we discuss the show’s humanistic principles in a military science-fiction setting, we share mutual love for a good countdown, we talk deus ex devices, and David gives us insight into the process of developing a Star Trek script, while I try to convince him that The Most Interesting Man in the World is in this episode! 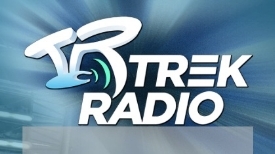 Take all that, add Clint Howard and three fingers of tranya, pour into your ears, and enjoy! In this episode of Literary Treks, hosts Dan Gunther and Bruce Gibson are joined by author David R. George III to talk about his latest Deep Space Nine adventure, The Long Mirage. We discuss where the characters are now, the possible sentience of Vic Fontaine, Quark’s relationships, Ro’s choices, Sisko’s absence, tying the Vic Fontaine and Morn stories together, faith and belief, and the meaning behind the title. The Deep Space Nine relaunch had been building to a showdown with the Ascendants. 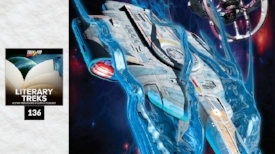 The Soul Key left fans with a massive cliffhanger, but with Star Trek: Destiny bringing all the crews together, the Ascendants story line was dropped in order to align the DSN books with the rest of the 24th century. Fans have long wondered what transpired with the Ascendants and how it spurred major changes for many of the DSN characters. Luckily, the answers have finally arrived. In this episode of Literary Treks, hosts Matthew Rushing and Dan Gunther are joined by author David R. George III to talk about his latest Deep Space Nine book, Ascendance. We discuss weaving the tapestry, research, what to tell and what not to tell, prophecies, character arcs, Sisko, faith and belief, working things in, what’s next, and where to find David online. When The Soul Key ended in 2009, Star Trek fans were left with a massive cliffhanger as Iliana Ghemor stood in front of the Ascendants and proclaimed, “ I am the Fire.” Unfortunately, the story of the Ascendants arc was lost as the DS9 books caught up with the rest of the 24th century in the Typhon Pact series—that is, until now. In this episode of Literary Treks, hosts Matthew Rushing and Dan Gunther welcome author David R. George III back to discuss his latest Deep Space Nine novel, Sacraments of Fire, which begins the final arc of the Ascendants story. We talk about stitching together the DSN quilt, what goes where, the different faces of faith, Ro’s growth, a place for Sisko, the many plot threads, the new DS9, tidbits about the forthcoming Ascendance, and where to find David online. Many fans know Demora Sulu merely as the daughter of Hikaru and as the helmsman of the Enterprise-B. We only catch a glimpse of her in Generations, but as the literary universe has evolved, we’ve come to know her through novels like The Captain’s Daughter and Serpents Among the Ruins. For David R. George III, Demora has been an important character and the relationship between her and Captain John Harriman has been central to his view of the Lost Era—the time period between 2293 and 2369. Returning to the Lost Era for the first time in nine years, David’s new novel brings us back to Demora, who is now captain of the Enterprise-B. In this episode of Literary Treks, Dan Gunther of TrekLit Reviews sits in for Matthew as we’re joined by David to discuss the genesis of the novel, his goals in exploring the relationship between Demora, Hikaru, and Harriman, what it was like returning to the Lost Era after writing so much 24th-century political fatigue, the sense of isolation that pervades Demora’s life, and the sense of responsibility that friends and colleagues have for one another. Ten Forward Episode 93: A Round of Drinks for the Authors of STar Trek: The Fall! Sina is privileged to be joined by David R. George III, David Mack, James Swallow, and Dayton Ward for a roundtable discussion about the Star Trek: The Fall miniseries, their upcoming projects, and their favorite adult beverages. Along the way, there may have been a tangent or two. Stay for the end of the show for lots of bloopers. For chapter six of our ongoing interview series, we are very pleased to present to you our interview with New York Times bestselling author David R. George III. We talked about how David discovered Star Trek, his love of writing, his Voyager episode, writing with Armin, and so much more. We also go in depth about his original series novel Allegiance in Exile, and we discuss the upcoming The Fall series of books. Sina and Michael discuss Revelation and Dust, the first book of the Star Trek: The Fall series, with New York Times bestselling author David R. George III. We have a great chat about the crucial plot point that drives the entire five-book series, and discuss several beloved characters and their journeys in the book. We also have news. Hope you enjoy! Nick, Terry, and Mike sat down with author David R. George III to talk about his latest novel, Revelation and Dust. Spoilers were revealed regarding Nan Bacco. They also talked about the destruction of Deep Space 9 and the new station’s design. And they got a teaser on his next project, which will be a Lost Era novel. 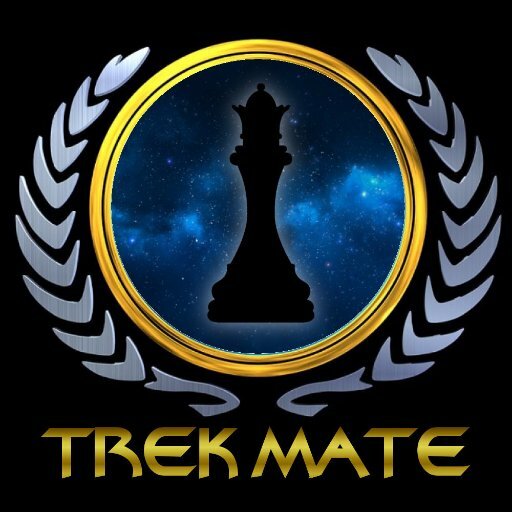 The Star Trek universe as you know it is about to change. Over the past decade, the universe has grown richly complex as literary adventures have taken over where television left off. Now, in a new five-book series titled The Fall, some of Star Trek’s greatest authors are going to rock the Federation to its core with an adventure that takes place over a period of sixty days and involves The Next Generation, Deep Space Nine, and Titan. In this episode of Literary Treks, hosts Matthew Rushing and Christopher Jones kick off The Fall with special guest David R. George III, whose DSN novel, Revelation and Dust, sets the stage for the series. 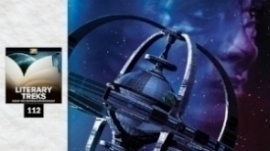 We discuss the incredible new Starfleet-built Deep Space 9 station, how Doug Drexler, Andy Probert, and Douglas E. Graves helped shape the visual design, the continuation of Kira’s journey and the broader DSN story, the challenges of writing a book that builds upon so many past novels while making the story accessible to new readers, and how Revelation and Dust not only sets up The Fall, but also pays tribute to Deep Space Nine on its 20th anniversary. 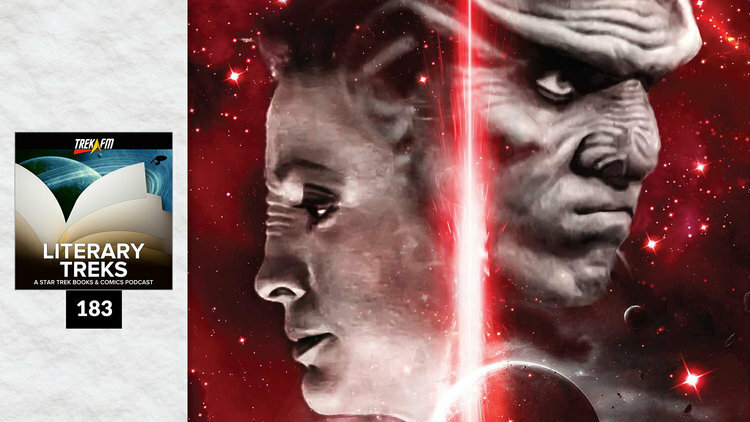 Star Trek author David R. George III (Plagues of Night, Raise the Dawn) joins Timewarp and Nydra for a live interview as part of Captain’s Table Typhon Pact Author Series. Beginning with the Voyager episode “Prime Factors,” David R. George III has become a key contributor to Star Trek lore over the course of nearly two decades. His first literary foray also had a television connection, as he penned the Deep Space Nine novel, The 34th Rule, together with Armin Shimerman in 1999. 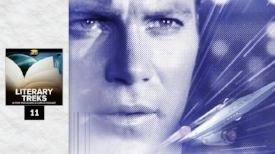 Since then, David has come to play a pivotal role in Trek’s literary world, penning more than a dozen novels. In this episode of Literary Treks, we’re joined by David for an extensive look at his work on the relaunch of Deep Space Nine, his new original series novel, Allegiance in Exile, and how he got into Star Trek in the first place. 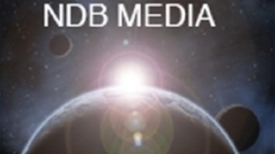 NDB MEDIA: Author David R. George III Beams in for a Live Chat! Join us as we chat up all of David R. George III’s works, detail his newest projects, and we’ll just have wonderful time as we turn our attention to the world of fiction!